Kajal is one of the good friends of a woman, it beautifies the eyes instantly and lights up the face. Indian women don’t step out with a little eyeliner or kajal. Even for some of the woman just applying kajal is the only make-up they put on. The tradition has been followed since the time of our great grandmothers. Kajal is nothing but the soot obtained from its ingredients. In the early times, it was made by crushing ‘anjana’ stone and then mixing it well with ‘kayyoni/Bangrah’ and then dipping a cotton cloth wick in this paste, and then burning it in a diya and covering it with a clay pot to catch the soot. This collected soot is kajal. But later, this process was made easy by just burning a cotton wick in castor oil. Or by burning 2-3 almonds and then mix its ash with ghee. They had their medicinal properties. But now, nobody find time to follow these old processes. And it is really a tough job to find and choose among the indian brands available. 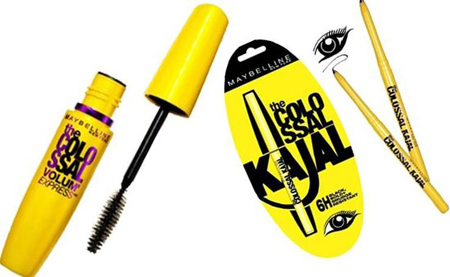 So this article fetches a list of top 10 best and famous kajal brands available in India. This is one of the great satisfier among the current kajals in the market. The color is very dark black and is smudge free. 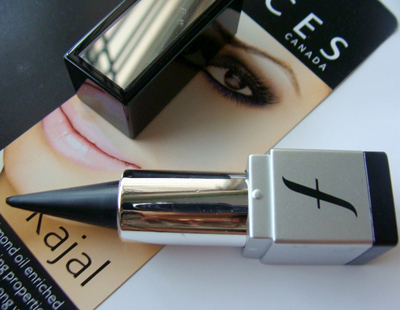 This kajal lasts for a longer period of time. But don’t choose this kajal if you want a glossy kajal look. It is super glossy and soft , so it’s very gentle with the eyes. But it does smudge a bit.You can follow this kajalif you have smoky eyes. 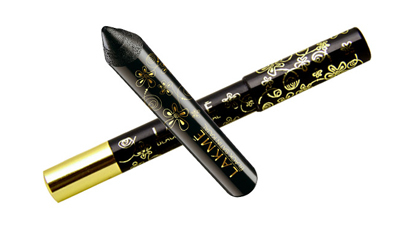 L’oreal Paris Kalaj Magique is a new generation supreme black kajal for perfect intense eyes. It comes with mineral pigments which impart a beautiful color. It is enriched with the richness of Vitamin E, Vitamin C Derivative, Cocoa Butter and Olive Oil Esters which make it smooth and easy to apply. 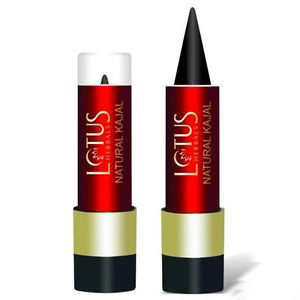 It is an ophthalmologically tested kajal which imparts a great finish to eyes and easily lasts for up to 12 hours. It is good for sensitive eyes. Lakme eyeconic kajal is smudge free and water proof kajal. 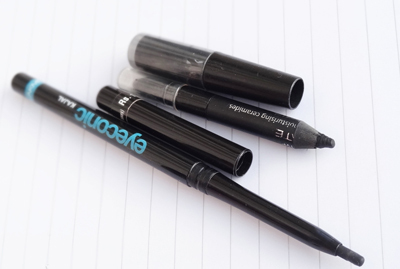 With a deep black stroke , in an easy twist up format, it gives your eyes a long-lasting, eye conic look through- out the day. 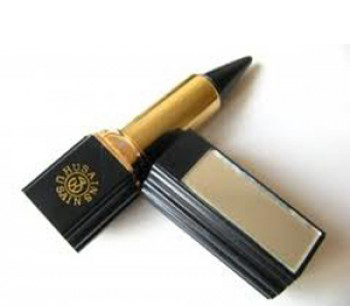 This kajal is smudge proof and long lasting. It is natural with the goodness of camphor, licorice and almond oil. It is dense black and smooth to applywith an economical price of Rs. 115. Colorbar kajal is enriched with Vitamin E and castor oil. It is jet black and velvety. It costs for 150 Rs. Being another natural product, this kajal consists of castor oil, almond oil, triphala and camphor. It doesn’t require sharpening because of its twist up type. It is waterproof and is the twist up type, so it does not require sharpening. It is ophthalmological tested and contact lens safe. Though waterproof but it smudges Buton the contrary, it has a tendency to smudge since it has a more oily finish. 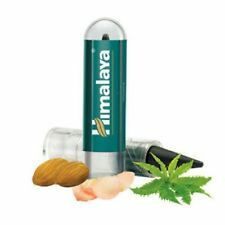 It is a herbal kajal and soothes the eyes on application. It is natural with a herbal aroma. It comes in black color stick form. 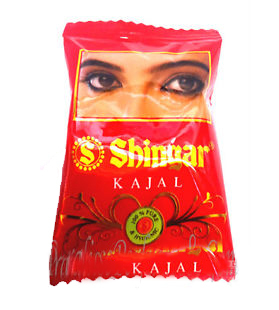 Being the oldest kajal it is cheap and reminds of the childhood. Although smudges, but color is fine. But must to mention that it doesn’t last for a long time. i have small pores in my skin . hw i remove it. you have to try the dheedhi herbal kajal . it is very soft, dark & easy to apply. Its herbal mix gives a soothing effect to the eye. Excellent product at reasonable price.